The chapter published by WikiLeaks is perhaps the most controversial chapter of the TPP due to its wide-ranging effects on medicines, publishers, internet services, civil liberties and biological patents. Significantly, the released text includes the negotiation positions and disagreements between all 12 prospective member states. The TPP is the forerunner to the equally secret US-EU pact TTIP (Transatlantic Trade and Investment Partnership), for which President Obama initiated US-EU negotiations in January 2013. Together, the TPP and TTIP will cover more than 60 per cent of global GDP. Both pacts exclude China. Now you start to understand the tension in the region. Since the beginning of the TPP negotiations, the process of drafting and negotiating the treaty’s chapters has been shrouded in an unprecedented level of secrecy. Access to drafts of the TPP chapters is shielded from the general public. Members of the US Congress are only able to view selected portions of treaty-related documents in highly restrictive conditions and under strict supervision. It has been previously revealed that only three individuals in each TPP nation have access to the full text of the agreement, while 600 ’trade advisers’ – lobbyists guarding the interests of large US corporations such as Chevron, Halliburton, Monsanto and Walmart – are granted privileged access to crucial sections of the treaty text. The TPP negotiations are currently at a critical stage. The Obama administration is preparing to fast-track the TPP treaty in a manner that will prevent the US Congress from discussing or amending any parts of the treaty. Numerous TPP heads of state and senior government figures, including President Obama, have declared their intention to sign and ratify the TPP before the end of 2013. WikiLeaks’ Editor-in-Chief Julian Assange stated: “The US administration is aggressively pushing the TPP through the US legislative process on the sly.” The advanced draft of the Intellectual Property Rights Chapter, published by WikiLeaks on 13 November 2013, provides the public with the fullest opportunity so far to familiarise themselves with the details and implications of the TPP. The 95-page, 30,000-word IP Chapter lays out provisions for instituting a far-reaching, transnational legal and enforcement regime, modifying or replacing existing laws in TPP member states. The Chapter’s subsections include agreements relating to patents (who may produce goods or drugs), copyright (who may transmit information), trademarks (who may describe information or goods as authentic) and industrial design. The longest section of the Chapter – ’Enforcement’ – is devoted to detailing new policing measures, with far-reaching implications for individual rights, civil liberties, publishers, internet service providers and internet privacy, as well as for the creative, intellectual, biological and environmental commons. Particular measures proposed include supranational litigation tribunals to which sovereign national courts are expected to defer, but which have no human rights safeguards. The TPP IP Chapter states that these courts can conduct hearings with secret evidence. The IP Chapter also replicates many of the surveillance and enforcement provisions from the shelved SOPA and ACTA treaties. 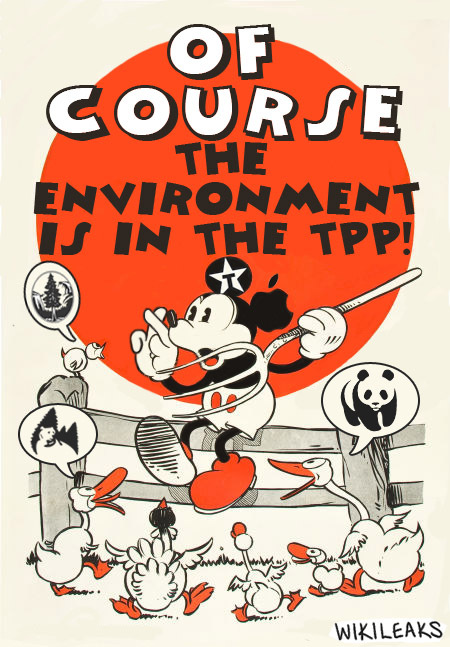 The consolidated text obtained by WikiLeaks after the 26-30 August 2013 TPP meeting in Brunei – unlike any other TPP-related documents previously released to the public – contains annotations detailing each country’s positions on the issues under negotiation. Julian Assange emphasises that a “cringingly obsequious” Australia is the nation most likely to support the hardline position of US negotiators against other countries, while states including Vietnam, Chile and Malaysia are more likely to be in opposition. Numerous key Pacific Rim and nearby nations – including Argentina, Ecuador, Colombia, South Korea, Indonesia, the Philippines and, most significantly, Russia and China – have not been involved in the drafting of the treaty. In the words of WikiLeaks’ Editor-in-Chief Julian Assange, “If instituted, the TPP’s IP regime would trample over individual rights and free expression, as well as ride roughshod over the intellectual and creative commons. 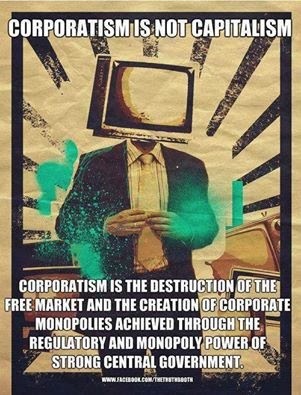 If you read, write, publish, think, listen, dance, sing or invent; if you farm or consume food; if you’re ill now or might one day be ill, the TPP has you in its crosshairs.” It's been New Word Order of the trinity of Global Control all along. Current TPP negotiation member states are the United States, Japan, Mexico, Canada, Australia, Malaysia, Chile, Singapore, Peru, Vietnam, New Zealand and Brunei. The Chairs' Report of the Environment Working Group also shows that there are still significant areas of contention in the Working Group. The report claims that the draft Consolidated Text displays much compromise between the Parties already, but more is needed to reach a final text. The main areas of contention listed include the role of this agreement with respect to multilateral environmental agreements and the dispute resolution process. The documents date from 24 November 2013 ─ the end of the Salt Lake City round. They were requested by the Ministers of the TPP after the August 2013 Brunei round. The Consolidated Text was designed to be a "landing zone" document to further the negotiations quickly and displays what the Chairs say is a good representation of all Parties' positions at the time. The WikiLeaks Consolidated Text and corresponding Chairs' Report show that there remains a lot of controversy and disagreement within the Working Group. The Consolidated Text published by WikiLeaks is not bracketed, as per the IP Chapter released in November 2013, as it is drafted by the Chairs of the Working Group at their responsibility. Instead, the accompanying Chairs' Report provides commentary on the draft Consolidated Text and is the equivalent of bracketed disagreements for the countries that have not agreed on certain Articles, and provides their positions. Current TPP negotiation member states are the United States, Japan, Mexico, Canada, Australia, Malaysia, Chile, Singapore, Peru, Vietnam, New Zealand and Brunei. This is the third in the series of Secret Trans-Pacific Partnership Agreement (TPP) leaks published by WikiLeaks.